What's Your Oldest Credit Card? Over the weekend I received an e-mail from a reader asking about the effects of closing an old credit card on your credit score. 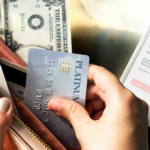 The short answer is that the length of your credit history is an key factor in determining your credit score, so closing old accounts can hurt your credit score. Anyway, all of this got me to thinking about the ages of our credit card accounts and, more specifically, how long we’ve had our oldest card. As it turns out, our oldest (current) credit card accounts are our Amex Blue Cash (my current top pick as the best cash back reward credit card) and our Chase Freedom cards. We actually opened both of these accounts back in 1997. The former began its life as an Amex Optima card, whereas the latter was some sort of Chase rewards card. While the Amex card didn’t have any sort of rewards associated with it, they did offer extended warranty protection. 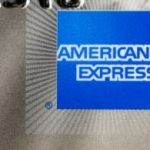 I eventually enrolled in the Amex points-based Membership Rewards program, but we never used the card very heavily — just for major transactions where we wanted the additional warranty protection. Most of our charging was done on the Chase card. Last fall, I finally made the decision to convert our Amex account to a Blue Cash rewards card, and we haven’t looked back since. The Chase account has been through several iterations, most recently having been converted to the Chase Freedom rewards card. With that as a backdrop, I thought it would be fun to run a poll about the age of your oldest current credit card account. Those Amex and Chase cards of ours has been kicking around for eleven long years — since just after my wife and I got married, and shortly before our oldest son was born. If you’re not sure how old your accounts are, just whip out your cards. Many of them have a “Member Since” date printed on them. And if, like our Blue Cash card, they don’t have this info printed on them, you can usually login and check it out online. oldest cc is my providian/wamu. 1st card post divorce+layoff = ch7 year from h*ll 10 yrs ago. loathe their utter lack of service & mobster APR, but keeping the history. While my oldest banking relationship are over 15 years old, my oldest credit card is much younger. My credit union keeps offering better cards, but changing cards means changing card numbers. I hate that, for credit score reasons. I fell for the “free t-shirt” with credit card my freshman year of college. “Prime Option Master Card” it started out as… I believe that eventually rolled into “AT&T Universal Master Card”. I believe my Discover card is the same age, but I don’t carry that one with me anymore so I can’t check quick. Since I’m 31 now, these are both about 13 years old and I have never gotten in SO over my head that I had to close any of these accounts. We are not in the market for buying a house anymore, and my husband also has a Discover card. I think we both want to kill our Discover accounts as soon as our debt/avail credit % starts to look a little better. Discover was the first card I got in college in 1989. That makes it 19 years? Wow, that makes me feel old. And we still use the card. I would have answered 18 years but the credit card company decided to discontinue the card in its current form. Surprisingly, they didn’t even have the decency to offer to roll it into a different card. The oldest I have now is only about 4 years old. Since I no longer wanted to pay a fee to accumulate frequent flyer miles that are nearly impossible to use, I was able to convert it to a cash back card. It was almost unsettling as to how easy they made it to retain me as a customer. I even got to keep the same credit card number, so no ding on the credit history. The oldest card on my credit report is from 1982! I’m sure it is a card I opened in college. I don’t use it (not even sure what it is) but I don’t close it out either as it definitely helps my credit score to have that long of a credit history. Great article! I currently have 2 credit cards one which is a marathon gas card supported by mastercard which has no fees and gives me 5% back on my gas. The other is just a VISA bank card with no benifits. 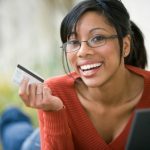 Although the card is around 5 years of age I have often thought of switching to a card that would give me more benifits on air travel, but should I do it if my other card has a longer credit history? My first and oldest card account was opened in 1991. It’s interesting that people fondly reminisce about their first loves, their first cars, and their first credit cards. Blaine: Good question. I suspect that it does matter. While activity drops off after seven years, all current cards remain on there and I think they still track the age of the account no matter how old it is. Also, when you check tyour credit score they always give some bullet points on how to improve it. In my case, they have always mentioned something about the age of my accounts, saying that the score will increase with older accounts — this is despite already having accounts considerably older than the seven year threshold. Does length of time you’ve had the card matter past 7 years? I have 2 (Express and Capital One) that I got shortly after graduating from high school (7 years ago). We’ll probably buy a house in the next few years, so I’m not too anxious about closing anything right now, but I’ve got express, jcrew and american eagle cards that I would love to make go away. Do you think that since they’re small value store cards once we buy a house I can close them and not run into too much trouble? I have a couple that are around 10-11 years old. One is just a basic visa opened with my university’s credit union when I was back in school, and the other was some stupid store card I opened at Hudson’s, which turned into Marshall Field’s, and is now Macy’s. I only use them enough to keep them active, since they aren’t very good cards, I just use them for the longer credit history.